Barber in Cambridge, based in the Barnwell area, providing mens grooming services. 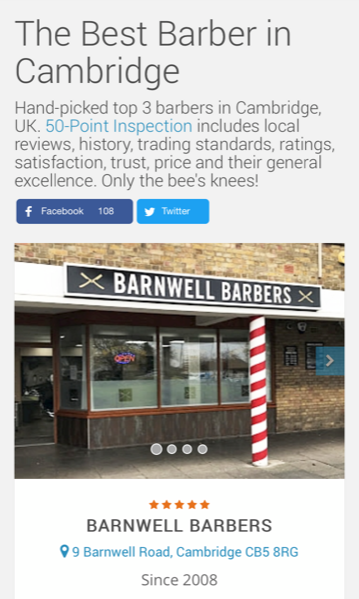 Barnwell Barbers are an established Cambridge barber in the Barnwell area with no appointment needed. We provide an extensive range of men’s grooming services, catering for under 16’s also from Monday through to Saturday. We have a very experienced and friendly team and they are here to provide service with a smile and cover every aspect of Barbering. Our premises are located close to free parking and our clean barber shop is also fully air conditioned. 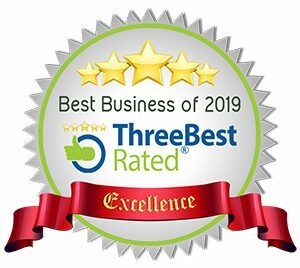 We always try to provide an excellent relaxed atmosphere for our visiting clients, with TV covering sports, news and music while you wait alongside the latest papers to catch up on. We are sure that you will be coming back time and time again. 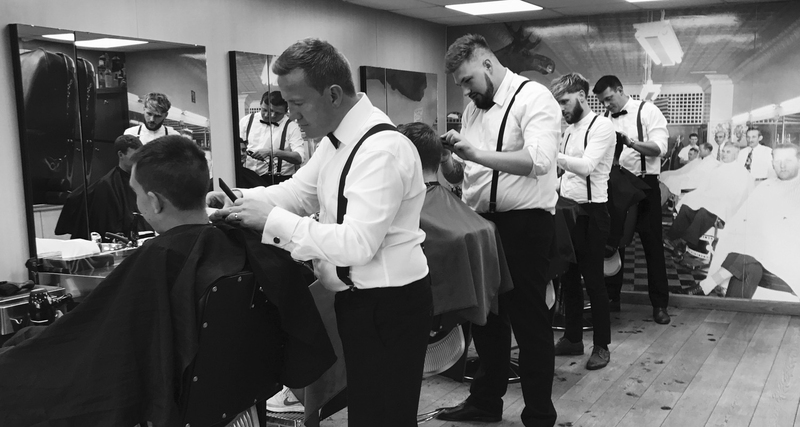 We recognise the hectic lives that people have week to week, so Barnwell Barbers are open from 830am Monday to Friday and from 8am on a Saturday. Every Thursday we have extended opening hours and run through from 830am to 8pm. A great way for you to get to us during the week and around a busy schedule. We see the importance of supporting our community and like to help where we can. We are very proud to sponsor the football shirts of the Fen Ditton Mens team as well as a number of the Cambridge United Youth players. There is never any need to book in advance for a visit to Barnwell Barbers as we provide a while you wait service with no appointment required. We also have free parking close by, making it even easier to drop in and see us. Try out our relaxing 5 point grooming @ £30.00, you won’t be disappointed. Every Thursday we have extended opening hours and run through from 830am to 8pm. A great way for you to get to us during the week and around a busy schedule.